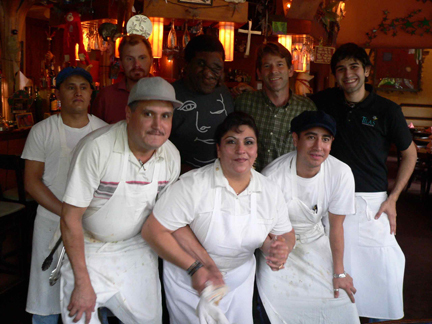 Home / A MESSAGE FROM REGGIE / My favorite Mexican Restaurant – Tila’s Restaurante and Bar on South Shepherd in River Oaks! Oh I love mexican food! Its the best!! Tila’s is great. It’s authentic mexican food from recipes Tila brought from Mexico. She was born in either Monterrey or Mexico City. My favorite is the filet stuffed with goat cheese with a diablo sauce on the side. The margaritas are made with all natural ingredients…fresh limes, tequila and something that escapes me at the moment. The patio is very nice on days like today. Very laidback and of course Tila is like a mother to everybody. I know I enjoyed both times I went. I look forward to meeting Tila. I love the t-shirt in the restaurante, that reads Jesus loves to eat here. I think I have been there. Is it near northwest memoreal hospital. Oh ok., I think I know where it is now. Reggie do you go to this place alot ? I have been there a few times, and I will try and go more often. I love the place.